The Botanist in Leopold Square has two fantastic events coming up during December, guaranteed to help you get into the mood for the festive season. 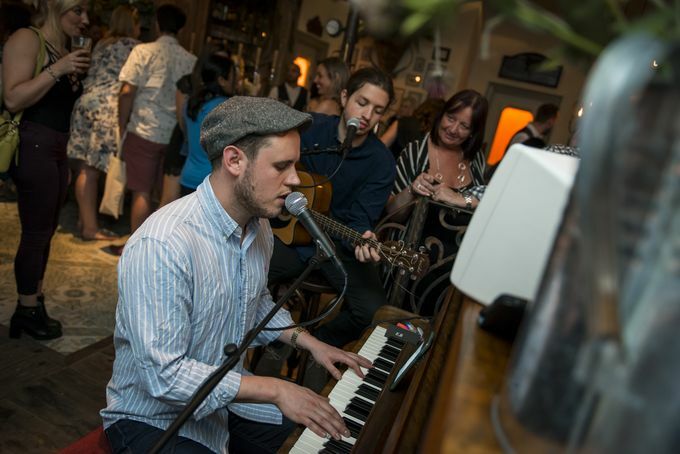 Join the bar and restaurant on Thursday 7 December for a night of The Botanist Bingo, where live music rounds replace the traditional numbers. Guaranteed to be a great night, expect three games and plenty of prizes to be had. The event starts at 7pm, leaving plenty of time to head to The Botanist for some food and cocktails beforehand. Famous for its hanging kebabs, The Botanist also serves up barbecue favourites, home comforts and vegetarian delights. On 12 December, The Botanist is hosting a Christmas sing-a-long, for free! Join The Botanist’s choir and pianist for a legendary Christmas showcase featuring festive classics. The event begins at 7pm and is completely free, with seats available to reserve online. Arrive early and enjoy a Christmas tipple from The Botanist’s cocktail menu, which features more than 30 cocktails, from classics like the Bloody Mary through to cocktails created from a fusion of botany and beer. Great things happen in Sheffield after 5pm, head to our entertainment, food and drink, or shopping sections to find out how Sheffield comes alive after 5.